This Lowa military mountain boot brown. The Lowa Military Mountain boot brown. The Lowa Mountain boot brown can be used from mountain terrain to everyday use. Its easy to maintain with sharp looks. 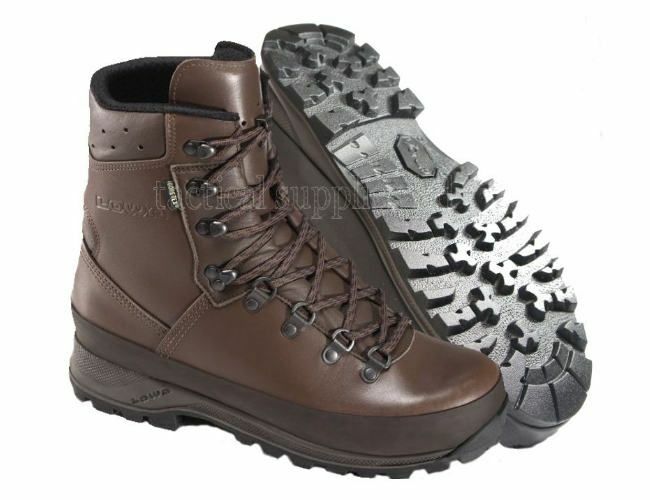 It is waterproof and breathable and this makes this combat boot the ideal choice for the military and police alike. Special linings and specification make it insulated against cold weather and cool for warmer days. Gore-Tex for outstanding climate controlled comfort and waterproofing, along with a tough wear resistant lining. Vibram technical sole unit ( sole is repairable). Achilles leather panel in heel for comfort.